In a metropolis like Washington, DC, chain coffeehouses are a dime a dozen. It's the small, local cafe that's a much rarer find. Coffee Nature is one of those independent community coffeehouses in Tenleytown. With local art on the walls, sunlight streaming in through huge storefront windows, and a friendly staff behind the counter, Coffee Nature has all the makings of a small-town cafe—it just happens to be in a major city. 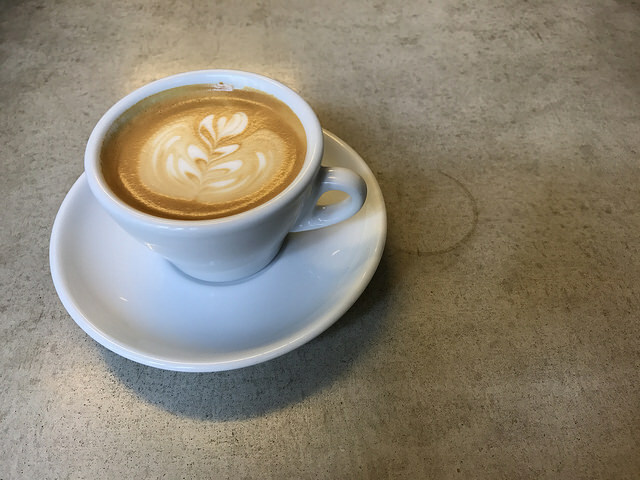 Swing by Coffee Nature in the morning to grab a cup of joe or a latte and a breakfast burrito to go, or sit down for an omelet or egg-stuffed panini. During the lunch rush, Coffee Nature doles out signature sandwiches, wraps, and paninis, including a few items influenced by Korean cuisine. Try the signature Gang Nam Style sandwich, which features chicken dressed in spicy Korean barbecue sauce with provolone cheese, green peppers, onion, lettuce, tomato, and Russian dressing.